John read for undergraduate and post-graduate law degrees at St John’s College, Cambridge, joining East Anglian Chambers in September 2016 after 17 successful years at St John’s Buildings in Manchester. Building on a long-standing specialism in personal injury and employment law John now provides advocacy, drafting and advisory services in a broad spectrum of civil and matrimonial finance matters. John is an experienced personal injury specialist and accepts instructions in a broad range of Multi-track injury matters (road traffic, work accidents and public liability claims) but has become best known for motor fraud cases, including fraud rings, staged accidents, those that never happened, and bogus passenger claims. He is the preferred counsel for a number of large insurers in this area. Credit hire is also a topic regularly covered in John’s road traffic practice. John’s employers’ liability practice covers spinal and subtle brain injury, for claimants and defendants, as well as the full range of more prosaic work-related injury e.g. lifting and falling. He has also provided advice and representation in industrial disease claims for over a decade e.g. deafness, asbestos, respiratory conditions, skin disorders and upper limb conditions/RSI. All aspects of these claims are handled from pre-litigation advice through to CCMCs, trial and costs. Public liability claims have recently included fireworks display burns, animal bites and crushes, ice slipping accidents, product liability matters and school claims. John is an employment law specialist who provides representation at Tribunal and EAT level for claimants and respondents in dismissal, discrimination and whistleblowing claims. Commercial clients include both private enterprises and PLCs. John is regularly instructed in long, high value discrimination claims with high success rates, one example being an award of nearly £100,000 for a probation officer with depression who was overworked, unsupported and harassed. He recently advised on a whistleblowing claim against a government department, then provided representation at the judicial mediation to achieve a settlement of nearly £300,000. John has represented a broad range of clients from police officers to GPs, tech workers to craftsmen, agricultural workers to lawyers and including clients with significant disabilities requiring sensitivity, understanding and clear communication (e.g. Asperger’s, depression and brain injury). John has experience acting at all stages of the case and is regularly instructed to draft a variety of documents including questionnaires, position statements and orders. There is a broad range of services demanded by the East Anglian public and business community. 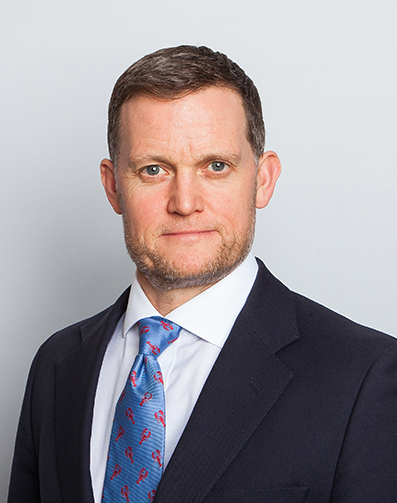 John has provided advice and representation to them on matters including non-competition injunctions post-employment, interim and final orders restraining parties in neighbour disputes, school entry appeals, directors facing claims from other businesses, contractual matters and property disputes. John is accredited by the Bar Council to undertake direct public access work. Away from work he is a keen cricketer and Ironman triathlete. He also runs a property company providing shared homes for professionals in the Norwich area.